Horror My Friend are back in Adelaide for one last show – and what a special show it is! 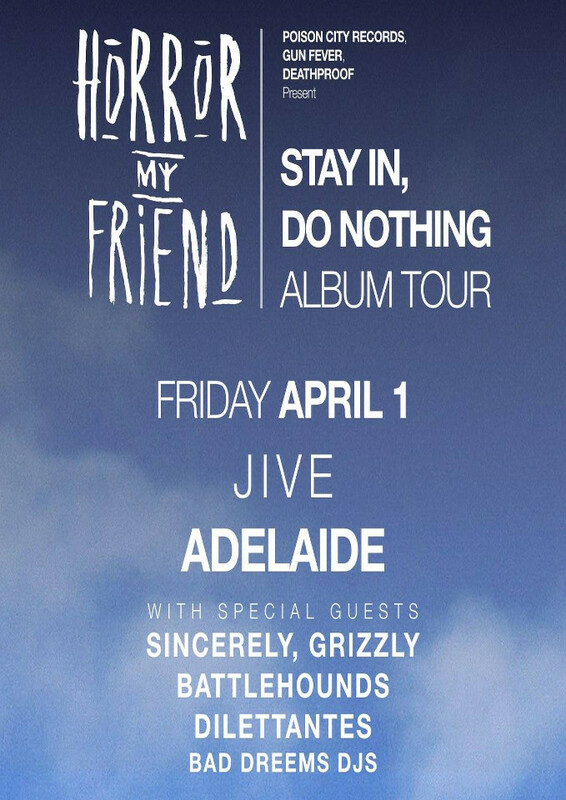 Launching their latest full length album ‘Stay In, Do Nothing’ the band have some special guests; Sincerely Grizzly, Battlehounds & Dilettantes. Head down to Jive friday night!